Crete has traditionally been one of the most popular parts of Greece with overseas buyers, thanks to its climate, cultural heritage and beautiful landscapes. It is the southernmost part of the country and the biggest island in Greece. It is beloved by both tourists and expats alike, no matter their interests and passions. Whether they spend their days by the beach or exploring the various sights and places from the island’s rich history. From the Europe’s ancient Minoan civilisation to the foundations of Ancient Greece. The climate here is one of the mildest and healthiest in Europe. With a short and mild winter and a temperature that rarely drops below 13°C. There is a large and vibrant expat community across the island. Particularly in the northern parts, and for this reason it was largely insulated from the worst effects of the economic downturn that Greece experienced in recent times. There is a large and vibrant expat community across the island, particularly in the northern parts. Greece is divided into four regions: Heraklion, Chania, Rethymno and Lassiti. Properties across the island can be found nestled by ancient ruins and untouched nature, fauna and flora. They are no more expensive than you can find on mainland Greece. This is the largest region of Crete and the island’s administrative centre. It is home to several popular tourist destinations, such as Khersonissos, Malia, Stalida and Agia Pelayga. Many people choose to buy property here, particularly those who wish to enter the rental market. In addition to the beaches, coves and bays, there is the large Heraklion International airport. As well as numerous churches from various different ages and the world famous Knossos palace. Here you can find two-bedroom villas for around €300,000. Although luxurious properties are also available for over a million euros if that’s your budget! Chania is home to the cities of Georgiupolis, Kurnas, Chania and Agi Marina. It is the greenest part of the island as it rains here more than anwhere else. Here you can find the White Mountains, covered with cypress forests and luxurious Crete vegetation. It is also famous for the Samaria canyon, one of the largest in Europe, with a trekking route for 18km – a six or seven hour walk. Inside the canyon you can find ancient churches and renovated traditional Crete houses. You can find beautiful property here for around €200,000 or even less. The region of Rethymno consists of the city of Rethymno, Panormo, Plakyas, Agia Galini and Bali. It is the main exporter of famous sweet wine Malvasia, made in the next door Malevisiu Valley. It is also popular for its breathtaking views, mountains, beaches and traditional Greek villages. There is a stunning 16km sandy beach across the northern part of the region. Local property and architecture has a clear Venetian influence. The city has a celebration of history with the Rimondi fountain and numerous famous fortresses and monasteries. Property prices here are cheaper, and a two-bedroom house can easily be found for less than €100,000. When you come to buy, it’s a simple fact that many local people, understandably, will see international buyers as rich and bump up the price accordingly. To get a fair price, you’re going to need all your negotiating skills. Read our guide, How to Negotiate Abroad. Lassiti is home to the cities of Agios Nikolaos, Elunda, Istron, Ieroperta and Sitya, in the east of the country. 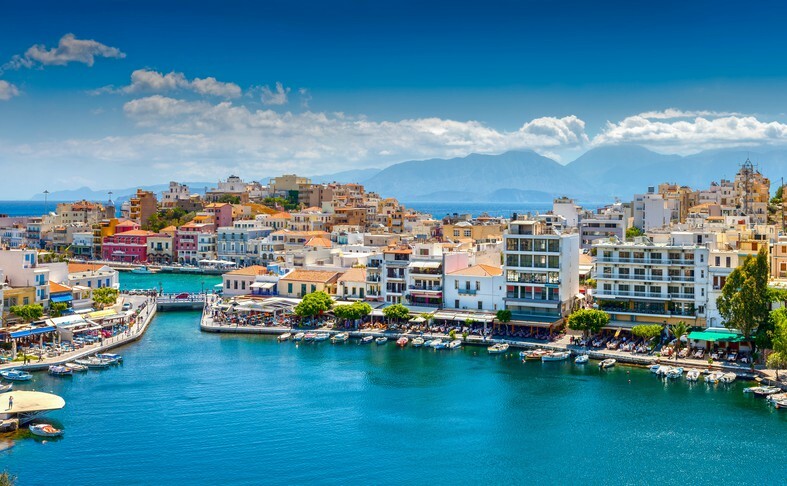 The location is most popular due to its fertile valleys and spacious beaches, including the renowned Finikodassos beach and Mirabello Bay – the largest in Crete. The administrative centre of Lassiti is Agios Nikolaos, whose symbol is the Vulyagmeni lake. It’s here ancient legend says the Goddess Athena bathed. Here you can find a townhouse or apartment for around €200,000. The popular location of Elunda is in this region, with Spinalonga island and its Venetian fortress in the mouth of Mirabella bay. This area is popular with royals and celebrities, and property here is some of the most exclusive and luxurious on the island. Surrounded by expensive hotels, gold courses, yacht clubs and exclusive boutiques. Property here starts from around €320,000 but can also reach considerably higher prices. The first thing you will need to do is find an established and licensed estate agent. It is important to ensure you chose one who is regulated. They should also be knowledgeable about property in Crete and the regulations of the Greek building industry. They should be regulated with the local Chamber of Commerce and display their license visibly in their office. 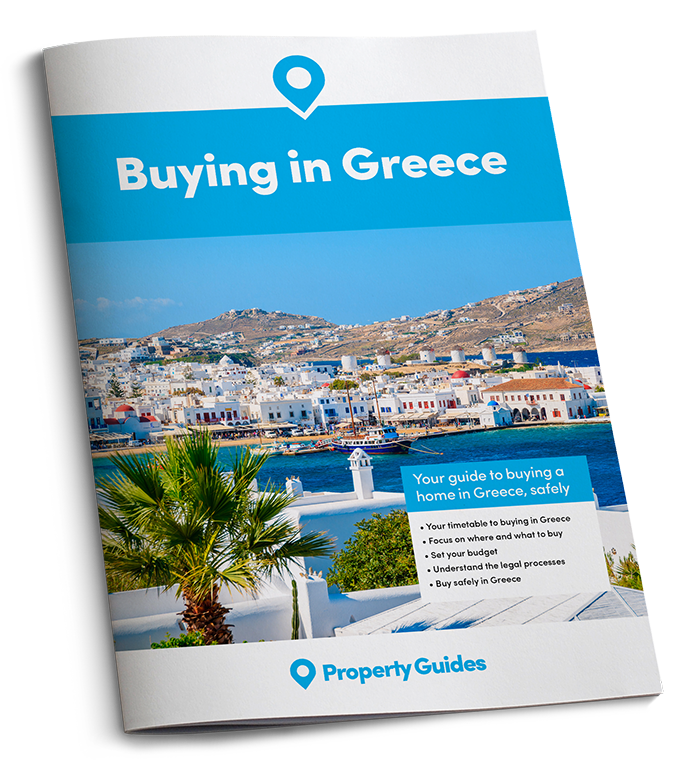 To ensure this before you visit these you can check these with the Hellenic Association of Realtors as well as the International Real Estate Federation in Greece. Online forums are a particularly good option for finding the right estate agency for you, as you can find people who have already been through the process that you are about to embark on. The first thing you will need to do is find an established and licensed estate agent. Once you have found the right estate agent for you, you will be able to take viewing trip. This enables you to spend a few days and tour chosen part of Crete, viewing a few properties chosen specifically based on your criteria by your chosen agent, who will accompany you. This time in Crete will also give you the opportunity to find out more about your chosen destinatrion. It’s a good idea to factor in public holidays when you book this trip to make sure that everywhere is open. After all Greece has many, usually according to the Greek Orthodox Church which celebrates some festivals, such as Easter, at different times to the UK. We also recommend taking this trip out of the main holiday season. Although this may reduce the number of flights that you can access to visit the island, it’s a good idea to see how busy the area is compared to the summer. Of course, Crete has a very mild climate even in the winter, but snow is not completely unheard of! It’s a good idea to rent a property for a few days instead of staying in a hotel. This can give you a better idea of actually living in the area – going out to get groceries, the cost of everyday items and even just getting around. One thing you will need to keep in mind when looking for a home here is not only the cost of the property, but also the buying costs that go alongside this. We recommend ensuring you have up to 10% on top of the property price available in your budget to ensure you don’t end up with issues paying the lump sum of the property. These additional buying costs include transfer tax, notary, legal and registration fees, VAT, and estate agent fees. One thing you will need to keep in mind when looking for a home here is not only the cost of the property, but also the buying costs that go alongside this. Obviously your finances will be a key concern throughout your purchase – given the sum of money that you are spending! Financial planning will be key aspect of your plans to ensure that you do not lose anything during the purchase. Currency exchange should be carefully considered and planned for throughout the overseas property buying process. To make sure you can manage the risks associated with transferring your money overseas, we recommend registering with Smart Currency Exchange. They specialise in helping people like you purchase property overseas, by offering solutions that protect your funds from exchange rate fluctuations. It’s these movements that have the potential to drive up the cost of your purchase in the time between making an offer and completing the purchase. 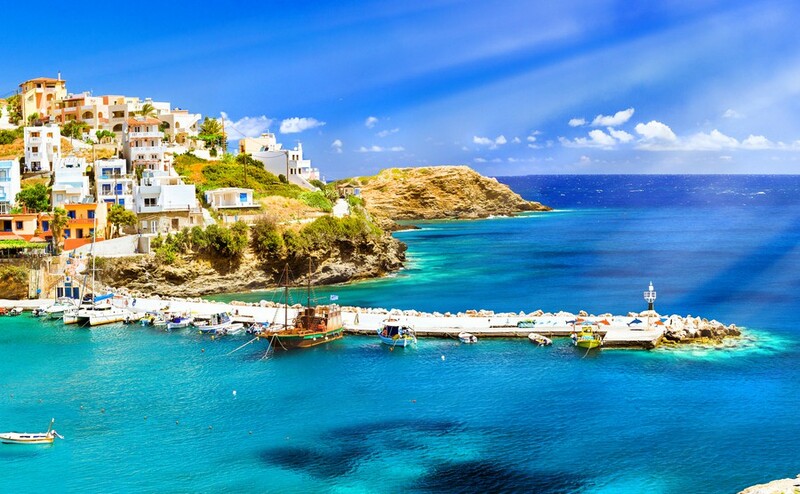 If this has inspired you to buy in Greece, you’ll have a few financial matters to sort out. For advice on getting the best currency deal download the Property Buyer’s Guide to Currency. It is also important to make sure you engage the services of an English speaking solicitor. They will be your advocate during the buying process and ensure you get the best deal. They will conduct the numerous searches to ensure that you are certain about the safety of your purchase, such as the vendor’s title and legal ownership of the property or any other rights, as well as of course all legal procedures. If you are unable to make the final signing of contracts for the property, then your solicitor will be your power of attorney to ensure the purchase continues in your favour despite your absence. A notary will be in attendance at the signing of all documents for your property. They are employed by the government and so officially do not work for either the buyer or the lender. They will be unable to allow signing to go ahead until all documentation on both sides is complete, and all taxes paid. But once this is all complete – you will officially own your new property in Crete!